“In real estate it’s location, location, location and for monarchs and other wildlife it’s habitat, habitat, habitat,” said Chip Taylor, Director of Monarch Watch, upon announcing a “Bring Back the Monarchs” initiative geared to restoring 19 species of milkweed across the United States. Milkweed is the host plant to the migrating creatures. Taylor, the founder of Monarch Watch, the University of Kansas based outreach program dedicated to engaging the public in studies of monarch butterflies, announced the nationwide landscape restoration program as the Monarch migration is winding up for the season and the North American Butterfly Association conducts its biennial members meeting in Mission, Texas. 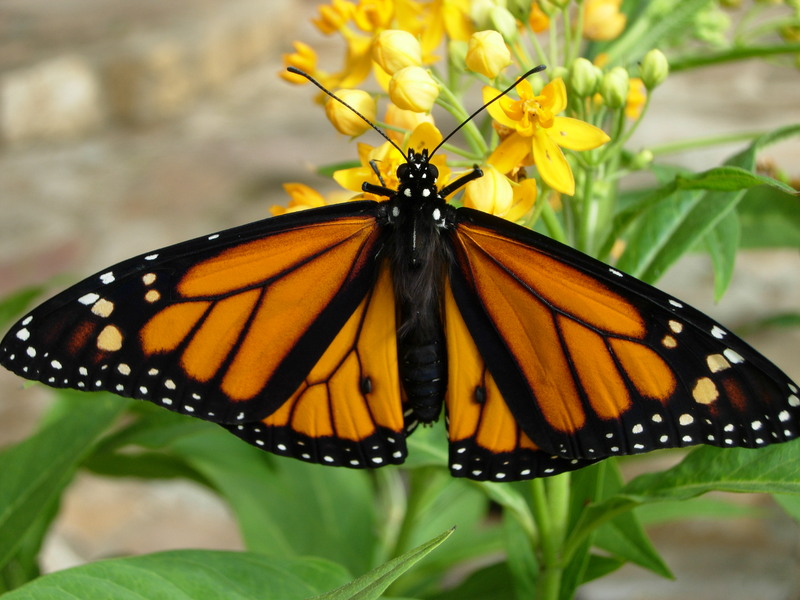 The goals of the program are to restore milkweed used as host plants for Monarch butterflies and resulting caterpillars to their native ranges throughout the United States. The program will also encourage the planting of nectar-producing native flowers that support monarch butterflies and other pollinators. Development, overuse of herbicides, and the adoption of genetically modified soybeans and corn have all contributed to the dramatic decline of milkweed patches across the U.S. Ranchers hate milkweed because cows won’t eat it and some gardeners don’t like its invasive tendencies. And yet…without milkweed fewer Monarch butterflies will have a place to lay their eggs. At Texas Butterfly Ranch, we couldn’t agree more with the importance of this initiative. Let there be milkweed! To learn more, check out the Bring Back The Monarchs website.